Davy Jones is located on South Marsh Island Block 230 in 20 feet (6 meters) of water in the Gulf of Mexico. McMoran operates the block, holding a 32.7% interest; PXP holds 27.7%; EXXI holds 15.8%; Nippon Oil holds 12%; W.A. “Tex” Moncrief, Jr. holds 8.8%; and a private investor holds the remaining 3% interest. In June 2009, a jackup re-entered an old wellbore that was drilled to the top of the salt range. Seven months later, on Jan. 11, 2010, the discovery well reached a total measured depth of 28,263 feet (8,615 meters), and the well was logged with pipe-conveyed wireline logs to 28,134 feet (8,575 meters). The results of the wireline log test indicate a total of 135 net feet (41 meter) of hydrocarbon bearing sands are located in four zones in the Wilcox section of the Eocene/Paleocene reservoir. The ultra-deep well was further drilled to 28,603, from 28,263, and the wireline log results indicated a total of 65 net feet of hydrocarbon-bearing sands. Additional net pay brings the total possible productive net sands to 200 feet (61 meters) in the Davy Jones well. McMoRan further deepened the well to 29,122 feet (8,876 meters) to test additional objectives and to perform flow testing by 2012. If tests and development drilling prove fruitful, the operator expects reserves in the multiple-trillion cubic foot range. Greetings from Denver and the EnerCOMConference where McMoRan presented on 8/13. It’s interesting to observe that as we really near the end of problem solving at Davy Jones, investors are so shell shocked they can’t believe the flow test might really happen soon. Many cannot see the forest for the trees or the enormity of this Shallow Water Ultra Deep play vs. the limited prospects of the shale plays they love so dearly. Most shale wells are unimaginative step out wells a short distance away from other known discoveries. Many of the public shale players are recent arrivals in those plays and are paying the price for being followers, not leaders. Their potential returns on invested capital are tiny compared to the potential enormity of the Shallow Water Ultra Deep which can totally transform the U.S. energy picture for the future. Add to that MMR’s Main Pass Energy Hub where it has reapplied for an export permit to use this facility 20 miles offshore to export hydrocarbons to other parts of the world where gas prices are far above the current <$3 in the United States. Nobody on earth wanted to have flow tested this well prior to this EnerCOM energy gathering more than Moffett so that this might have been the finest champagne party of this century. Instead, after almost a year of delays, Davy Jones is still not giving up its bounty without a final fight. So, the flow test is still to come. Jim Bob Moffett stood resolutely in the break out session and at the McMoRan dinner last night and patiently answered the same questions again and again. What about your balance sheet? Aren’t you going to run out of money? Do you honestly think you will have a successful flow test? Is there really permeability in these rocks? How big is this play? Really? Ironically, the well wants to flow so much that the latest problems have revolved around containing the flow, not encouraging it. As future well completions in the Shallow Water Ultra Deep move forward, rest assured there will be a whole series of protocols that will be standard operating procedure. For one thing, wells will never again be designed to have tiny pipe at the bottom of the hole, making all efforts difficult because there is no room to maneuver tools and equipment. Wells surely won’t be using Schlumberger’s remote control small guns to perforate the casing. 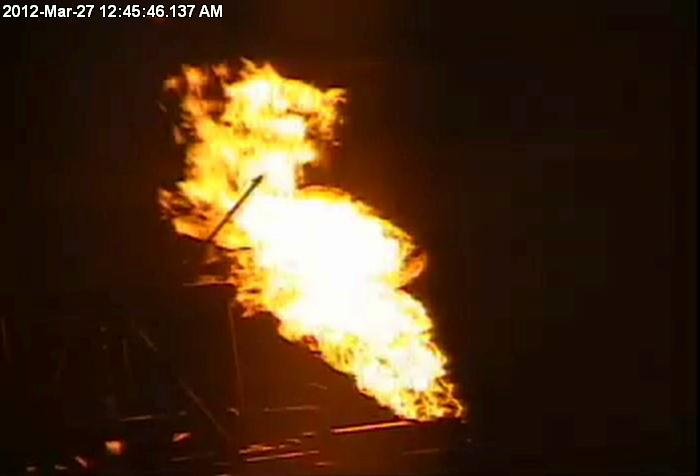 The folks at BOEMRE won’t be requiring the interruption of a flow test to move the rig back off the well. And wells will have packers routinely placed at the bottom of the production tubing so that no matter what comes flowing up after perforation of the well, it can easily be contained and controlled. Moffett takes responsibility on himself for not foreseeing that the original multiple O ring type assembly currently being pulled out of the hole would have to contain a far larger perforation project than originally conceived for one zone at a time instead of what resulted from perforating all zones at once. These recent completion activities and “redos” at Davy have cost the group another $70 million. You can’t sue the Government but one wonders what culpability might be laid at Schlumberger’s feet when all the dust settles. Halliburton’s Boots and Coots pressure control experts are finally off the well. So we can presume that the final preparations for the flow test are now underway. If you look at Moffett’s latest presentations, I believe the slides and cartoons are aimed not at the public markets but at the huge investors who will soon be coming out of the woodwork to turn this into a full blown commercial development to rival the biggest and most important energy projects in the history of the U.S. oil and gas industry. Many of the folks in the room, some of whom control or influence vast pools of money, don’t seem to see the forest for the trees or grasp what is coming about here. At the conference, if you go into the presentation rooms of those producing from shale plays onshore in the various parts of the country, there is standing room only, just as there was last year. Those investors don’t seem too concerned that shale requires $5-7 gas to be profitable in the present $3 world for natural gas prices. They don’t seem afraid of the write downs of reserve values that are coming at the end of the year. They only seem to focus on the $300 million + cost of Davy Jones and are sure that it will never produce economically. They don’t understand that at some point DJ became a science experiment for the entire play and its proof of concept. A major topic at dinner was about the cost of future wells. Moffett seems particularly happy with future use of expandable liner to limit the starting size of pipe that must be used. He thinks future wells, particularly those on land at Lineham Creek (Chevron is the operator) and at its new huge Highlander prospect onshore where it will be the operator, can be brought in for $75 million per well. Everything on land is much cheaper from land rigs, or even barge rigs in the swamp areas where there is less than 10 feet of water, to not needing support helicopters and delivery boats. Also, onshore with some of the targeted formations closer to the surface, the support costs are much less, too. Even offshore wells will be far cheaper going forward even if more than $100 million. Energy XXI, MMR’s junior partner, and Tex Moncrief are reportedly on pins and needles with the rest of us but with no wavering in their conviction about the Ultra Deep. Fortunes are made with patience and by leading, not following, the pack. This group fits that description in spades. Moncrief loves to tell the story of getting hooked on the oil patch when out with his Dad as a young boy in a pair of rubber boots watching a well start to gush oil into the air. Davy is trying to gush, too. It shouldn’t be long now until all the believers get their reward, including the public shareholders. McMoRan Exploration Co. announced yesterday continuing progress to flow test the Davy Jones No. 1 well on South Marsh Island Block 230. As previously reported, McMoRan saw positive pressure response from the Wilcox “D” sand which was perforated on March 24, 2012. On March 26, 2012, McMoRan attempted to perforate the Wilcox “C” sand. As the perforating gun was being removed from the hole, the well began to flow. When the gun was brought to the surface, it was determined that the gun did not fire in the Wilcox “C” sand from what appears to be a simple disconnection of the detonator cord. McMoRan plans to use a new perforating gun to complete the testing of the Wilcox “C” sand. Currently, the test is ongoing from only the Wilcox “D” sand, which resulted in the flare. The flow from the “D” sand is being affected by considerable debris in the 5 inch liner, from what McMoRan believes to be residual drilling fluid from drilling of the well. Results of a clean flow test, as opposed to the current test hampered by debris, will be announced as further progress is achieved and flow rates are measurable. McMoRan will provide updates as completion operations progress. 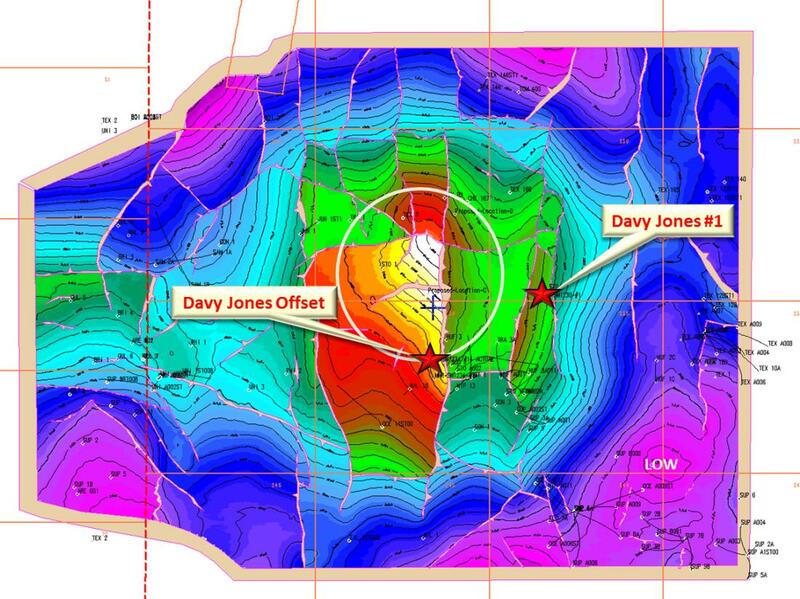 Davy Jones involves a large ultra-deep structure encompassing four OCS lease blocks (20,000 acres). McMoRan is the operator and holds a 63.4 percent working interest and a 50.2 percent net revenue interest in Davy Jones. Other working interest owners in Davy Jones include: Energy XXI (15.8%), JX Nippon Oil Exploration (Gulf) Limited (12%) and Moncrief Offshore LLC (8.8%). McMoRan Exploration Co. is an independent public company engaged in the exploration, development and production of natural gas and oil in the shallow waters of the GOM Shelf and onshore in the Gulf Coast area. A lot is happening in the Shallow Water Ultra Deep drilling program that McMoran and its astute partners, Energy XXI and Tex Moncrief, have been pursuing for the last few years. Now that the U.S. space shuttle program has come to an end, the scientific frontier in this country has moved to drilling miles into the earth’s crust instead of launching men to the moon. Those over 50 are old enough to remember the tension everyone in America felt as the first U.S. spacemen disappeared around the back of the moon and were temporarily out of communication with the Mission Control Center in Houston. Nobody knew if they would continue past the moon and out into space or circle back around into view as planned. These days the exploration frontier is 30-35,000 feet below the mudline in the Gulf of Mexico. Petroleum engineers are designing tools and rigs to control the 400 degree temperatures and 20,000 and more lbs. of pressure being encountered by drill bits and logging tools working 6 miles into the earth. On September 2, 2009, BP announced a massive oil discovery at its Tiber well in what was then one of the deepest wells yet drilled to a total vertical depth of 35,055’ in 4132 feet of water in the Wilcox and Tuscaloosa formations 250 miles Southeast of Houston. The discovery was described as having multiple pay zones in the “lower tertiary.” Kaskida, another BP well was announced as having 800’ of hydrocarbon bearing sands about 45 miles SE of Tiber. Neither of these wells is in production and it is likely to be many years and many billions of dollars spent to build pipelines and solve lifting problems before they are. In contrast, the Davy Jones 1 well was announced as a discovery by McMoRan and its partners in January 2010, just a few months after the Tiber discovery. It is about to come online and into production almost any day now. What’s the difference? DJ1 is in 20 feet of water just off the coast of Louisiana. Drilling for oil and gas in the Louisiana almost swamp land has been going on for decades. There are existing pipelines all over the place. The production platform pictured above is in water that a tall NBA player could almost stand in and wave his arms above the surface. So everyone is waiting with great anticipation just as for those astronauts circling the moon for the first time decades ago. McMoRan, the operator, had long ago announced expected completion of the well in mid-December 2011 with perforation of the well casing and a flow test to follow shortly thereafter before the end of the year. Davy Jones and the Ultra Deep wells don’t give up their booty without a fight. This is no exception. It is not certain how fast the reaming of the well will proceed. Might be before year end and it might not. For sure, the goal is to move at the “proper” speed to successfully complete and test the well. No other course would make sense when the well has cost about $170 million so far. Other than satisfying Wall Street, whether the well is completed on December 20th or January 10th is irrelevant. In this case, slow and secure is the way to go. The real issue since this play began is that for years many of the other oil and gas exploration companies have disparaged the whole idea that anything worth pursuing would ever be found. Once it was, the next group of naysayers were convinced that like BP’s Tiber and Kaskida, it would be impossible to produce them. Earlier this year, in an astounding tip of the hat to a small E&P company like MMR, Chevron complimented MMR’s Jim Bob Moffett and elevated the Gulf of Mexico to its top three exploration zones. Oil folks in the know are no longer putting down this concept that under the exhausted shallow fields in the Gulf and under the salt weld, more hydrocarbons would or could be found. Now it is accepted that massive amounts might still be found altering our nation’s energy future. The expectation for Davy Jones 1 is that once the inside of the hole is smoothed (reamed) new production liner will be placed into the hole. Next the well casing will be perforated to allow production to begin. Gas and hopefully some liquids too, will come surging up the well. There is a range of estimates but some folks believe that as the well is perforated from the bottom up, the initially activated zones will begin producing 20 MMcf per day building to the 50-70 MMcf per day level MMR expects to produce. Because this well is in a hole originally designed years ago to go to only a 20,000’ depth, its small size limits production to a maximum of 75 MMcf per day. Those constraints will not apply to Davy Jones 2, drilled 2.5 miles away which was designed from the outset with much larger pipe and to go to a 30,000’ depth. The second well is due on stream in the second half of 2012, even less time than the two years it has taken to design the equipment needed to bring Davy 1 onstream. In the world of exploration and production nothing is ever certain. 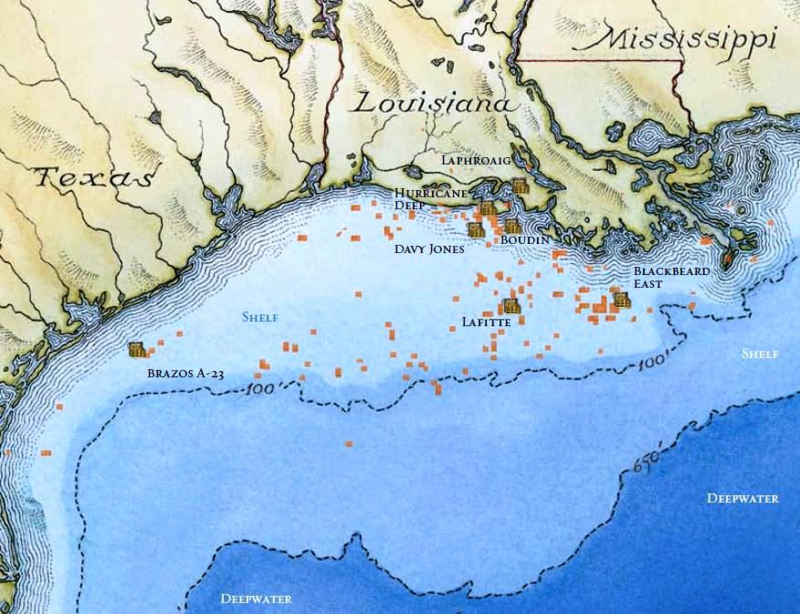 However, MMR expects to have some additional good news to report before year end at either its Lafitte well or at Black Beard East. In all cases, Moffett is looking at both of these wells for the same Wilcox and Tuscaloosa sands such as the Frio which has previously been seen at Blackbeard East and which is a massive producer onshore Louisiana . This zones have also been seen offshore at BP’s Tiber and Kaskida wells. Good things are just around the bend but until then, nervous anticipation is the mood of the week. Gramercy Capital, its clients and Mrs. Lappin own shares in McMoRan and Energy XXI. 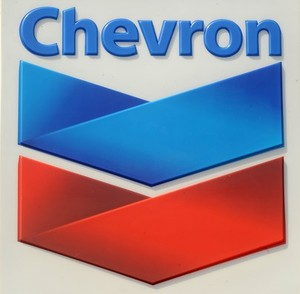 They do not own shares in BP or Chevron, also mentioned in this article. 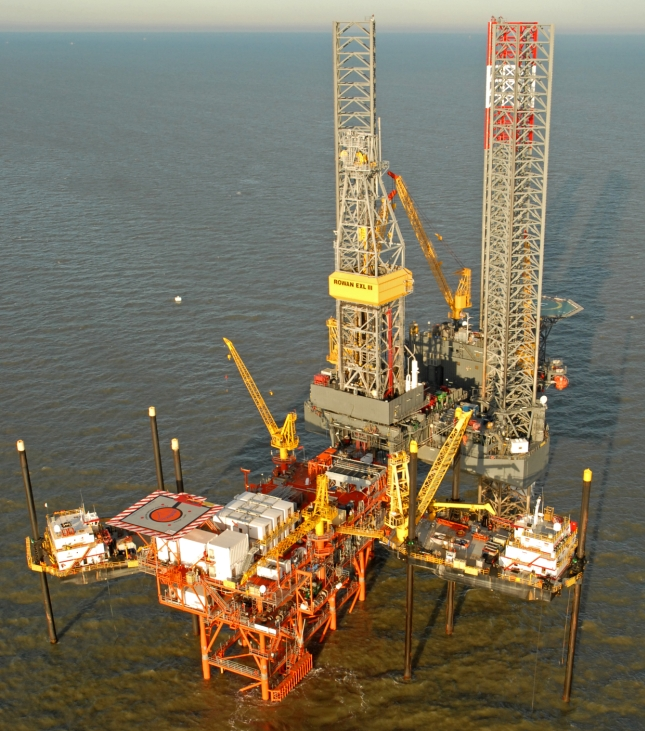 McMoRan has made a discovery on its Davy Jones ultra-deep prospect located on South Marsh Island Block 230 in approximately 20 feet of water. Drilled by the Rowan Mississippi jackup, the well reached a measured depth of 28,263 feet and has been logged with pipe-conveyed wireline logs to 28,134 feet. The wireline log results indicated a total of 135 net feet of hydrocarbon bearing sands in four zones in the Wilcox section of the Eocene/Paleocene. All of the zones were full to base with two of the zones containing a combined 90 net feet. The Eocene/Paleocene (Wilcox) suite of sands logged below 27,300 feet appears to be of exceptional quality. Flow testing will be required to confirm the ultimate hydrocarbon flow rates from the four separate zones. The resistivity log obtained on January 10th was the last data needed to confirm hydrocarbons in South Marsh Island Block 230. McMoRan plans to deepen the well to 29,000 feet to test additional objectives. McMoRan is one of the largest acreage holders on the Shelf of the Gulf of Mexico and onshore in the Gulf Coast area with rights to approximately one million gross acres including 150,000 gross acres associated with the ultra-deep gas play below the salt weld. Prospects on this acreage have multi-Tcfe gross unrisked potentials and target objective sections on the Shelf in the Miocene and older age sections that have been correlated to those productive sections seen in deepwater discoveries by other industry participants. McMoRan operates the Davy Jones prospect and is funding 25.7 percent of the exploratory costs and holds a 32.7 percent working interest and 25.9 percent net revenue interest. Other working interests owners in Davy Jones include: Plains Exploration & Production Company (NYSE: PXP – News) (27.7%), Energy XXI (NASDAQ: EXXI – News) (15.8%), Nippon Oil Exploration USA Limited (12%), W.A. “Tex” Moncrief, Jr. (8.8%) and a private investor (3%).